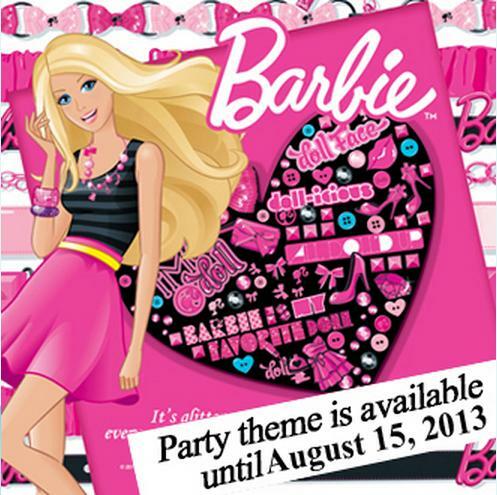 Bad news for Jollibee kids who are fans of Barbie, the Barbie theme for Jollibee party will only be available until August 15, 2013. The only Jollibee party themes that will remain, after the said date, will be the “My Bestfriend Jollibee Theme”, the “Jollitown” theme and the “Batman” party theme. The Barbie party theme is perfect for little girls who are celebrating their party in Jollibee. Some of the girlie party items for the Barbie party theme include; invitation cards, tray liners, party hats, loot bags, message board and guest book. Now that the Barbie party theme is about to end, I suggest that the birthday party that you are planning for your little girl should have this theme. Your daughter will be one of the last Jollibee birthday party celebrants who will have the Barbie party theme. Only the management of Jollibee knows if the Barbie theme for Jollibee party will return or a new party theme, which is perfect for little girls, will replace it. We can just wait and see what Jollibee has in store for all of us. For more info about the Barbie theme for Jollibee party, I suggest that you read: “Party Items for Barbie Themed Jollibee Party Package”. Also read “How to Plan Your Jollibee Party” so you will know how to plan your Jollibee birthday party.